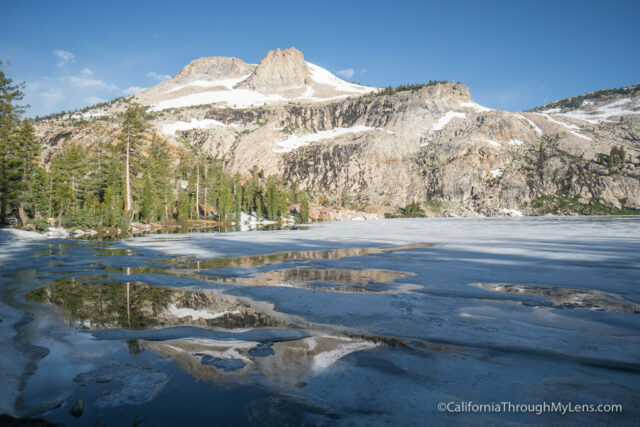 If you are looking for an easy hike with a fantastic payoff on Tioga Pass, then look no further than May Lake. 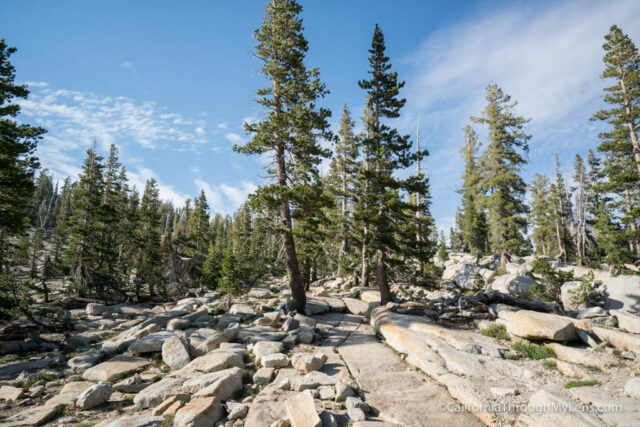 At a quick 2.4 miles round trip (when the road to the trailhead is open), this hike takes you through beautiful scenery on the way up to a stunning high altitude lake, a High Sierra Camp and a fantastic view of the surrounding area. 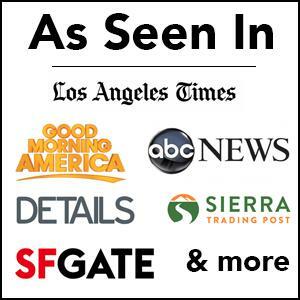 Here is all the information so you can check it out. 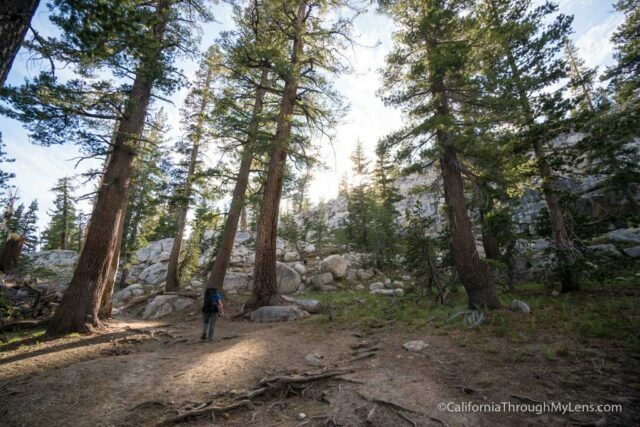 After entering from the east side of Yosemite National Park, the trailhead is about 20 miles from the fee station. 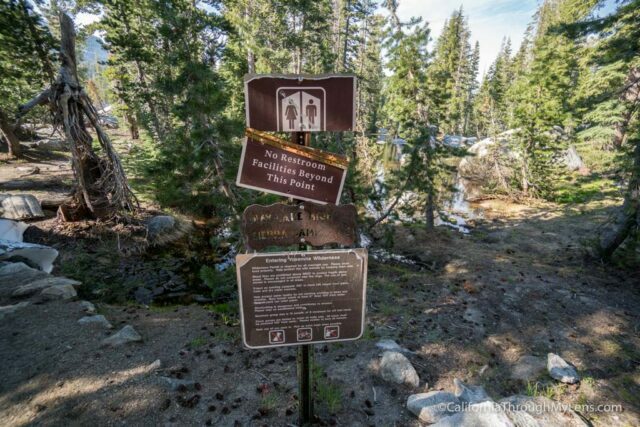 After Olmsted Point, watch for signs for May Lake on the right and then turn onto the one lane road that takes you to the small parking lot at the trailhead. The road is paved but still pretty rugged, and you want to take your time as you will need to pull out to let others pass. 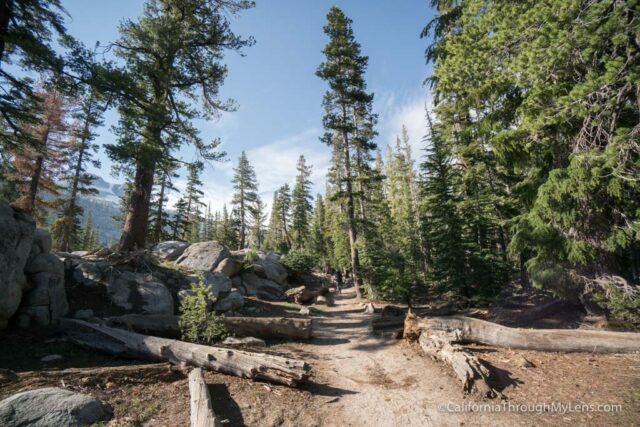 If there is no parking at the trailhead or the road to it isn’t open, then you can still hike to May Lake, but you must add 2 miles each way to hike from the road. From the parking area, the trail to May Lake leaves from right next to the pit toilets. 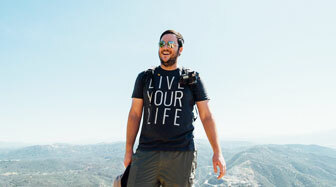 You will start a gradual incline that you will be on for nearly the entire way to the lake. 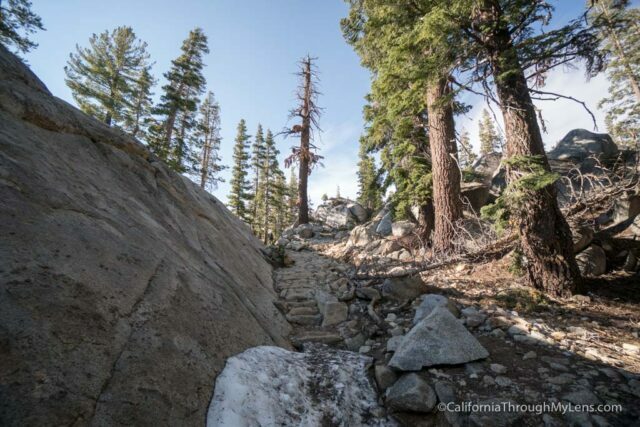 The trail has sections of roughly hewn rocks that form steps as you make your way up to the trail. Eventually, the trees will start to disperse a little bit, and you will get great views of Mt Hoffman, which stands above May Lake. Continuing on you will reach the final push that leads you up to the lake. This series of switchbacks is the steepest part, but take your time, and you should be able to make it. 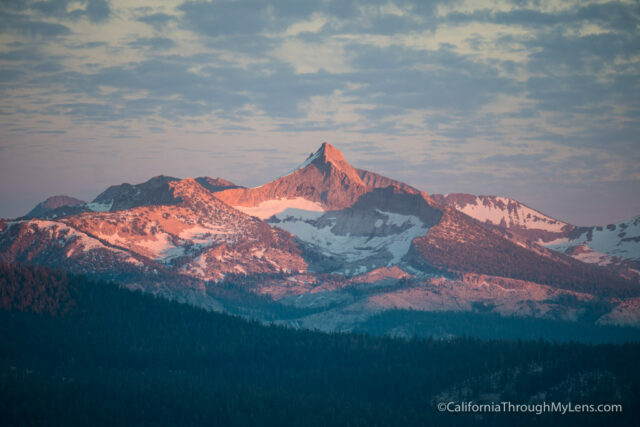 When you get to the top of the switchbacks, you will have a fantastic view back the way you came, including seeing Clouds Rest and Half Dome from the backside. 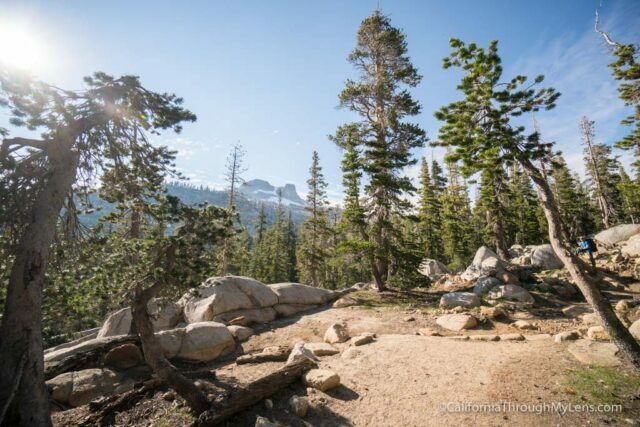 This area is a great place to watch the sunset from if you are staying the night at May Lake. We watched the sunset here, and it was stunning. From this spot, it is only a 5-minute walk to the lake itself. 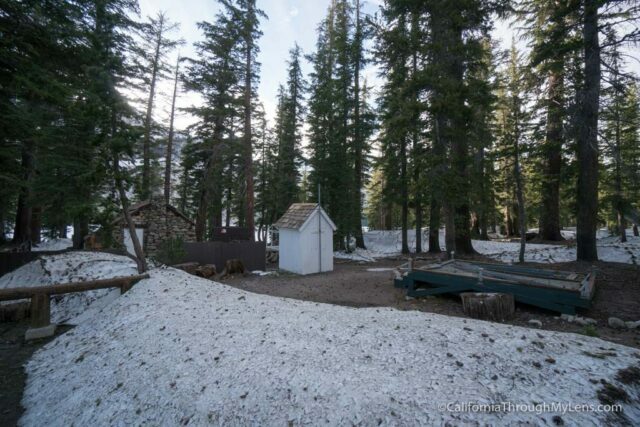 If you are staying in the High Sierra Camp that is off to the right, and if you are camping that is to the left. 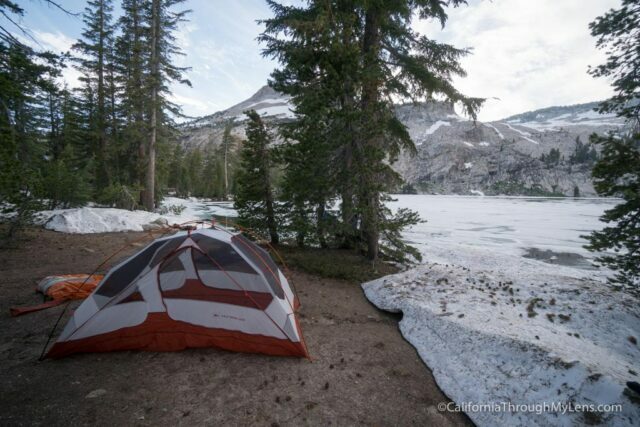 We came when the High Sierra Camp wasn’t open, after getting a backpacking permit and we grabbed a spot right along the water to set up camp. It was amazing as the lake was still frozen, but there were a bunch of mosquitoes so be sure to bring repellent. 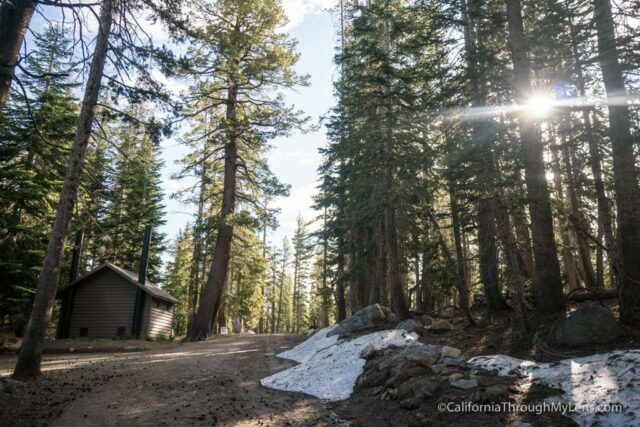 If you are not camping, you can take the added spur up to Mt Hoffman if you are feeling the extra 3.5 miles and 1,600 feet of elevation. 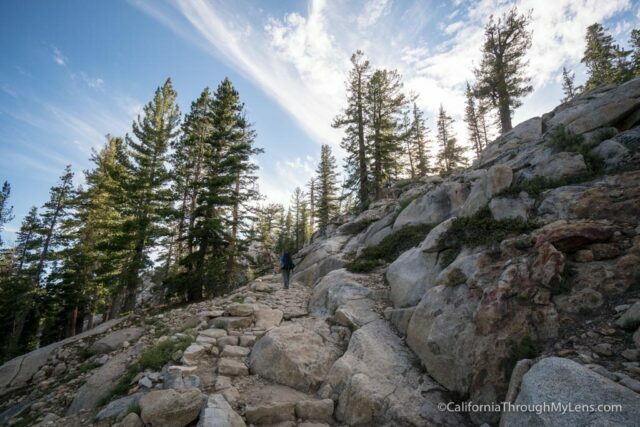 If not, head back the way you came and check out a few more of my favorite spots in Yosemite’s High Country like Lembert Dome, Glen Aulin, and Clouds Rest.